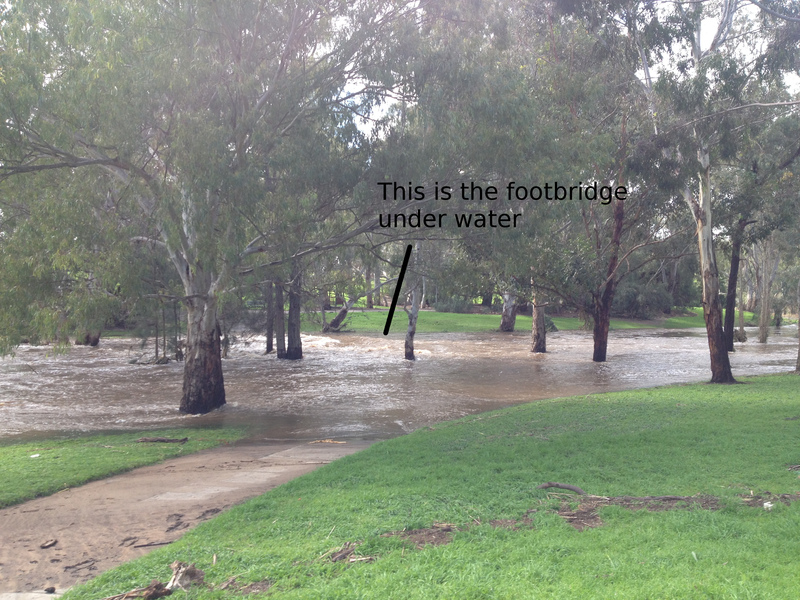 Not far from where I live in Felixstow, South Australia is the River Torrens. 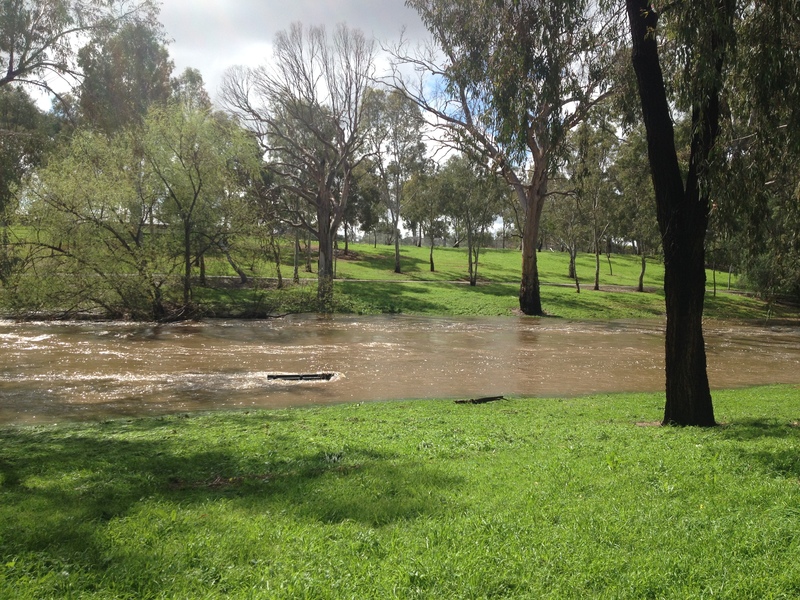 I have always loved rivers and spent many hours watching the River Murray when I lived at Murray Bridge. 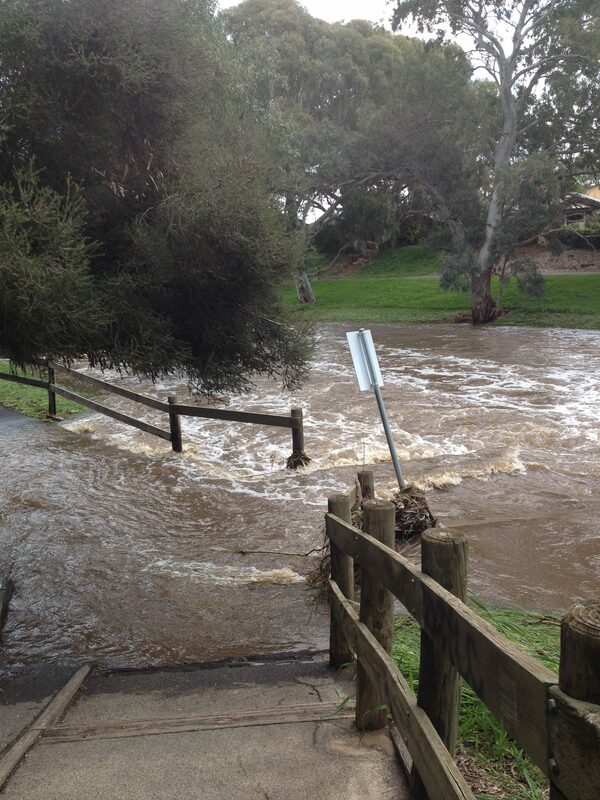 The recent flooding in South Australia has provided for some interesting viewing and photography. I’m no great photographer and I use my phone camera but I still love to record my life and local area in photos. 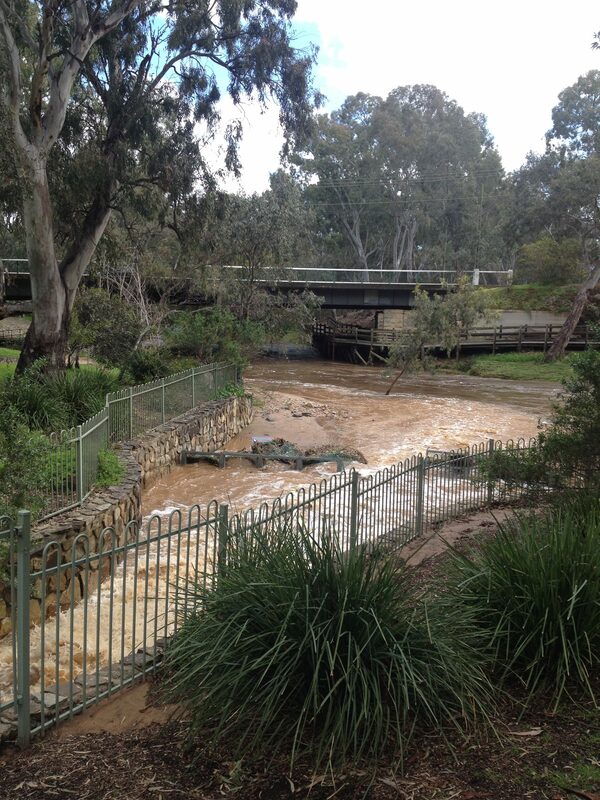 On the 14th of September, just a little over a week ago, we had extensive flooding in parts of the Adelaide Hills, South Coast and Adelaide suburbs. Here are some of the photos I took on the 15th. 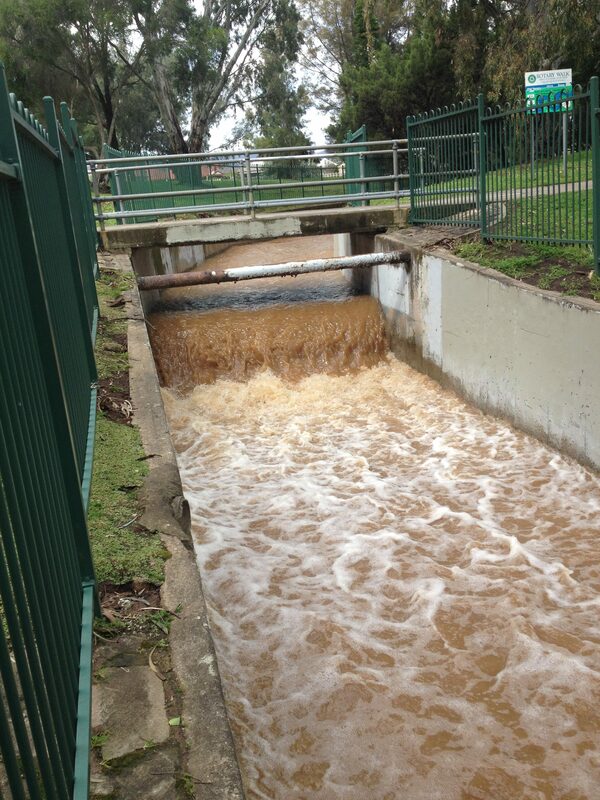 Catchment channel leading into the river and the bridge over O.G. Road in the distance. 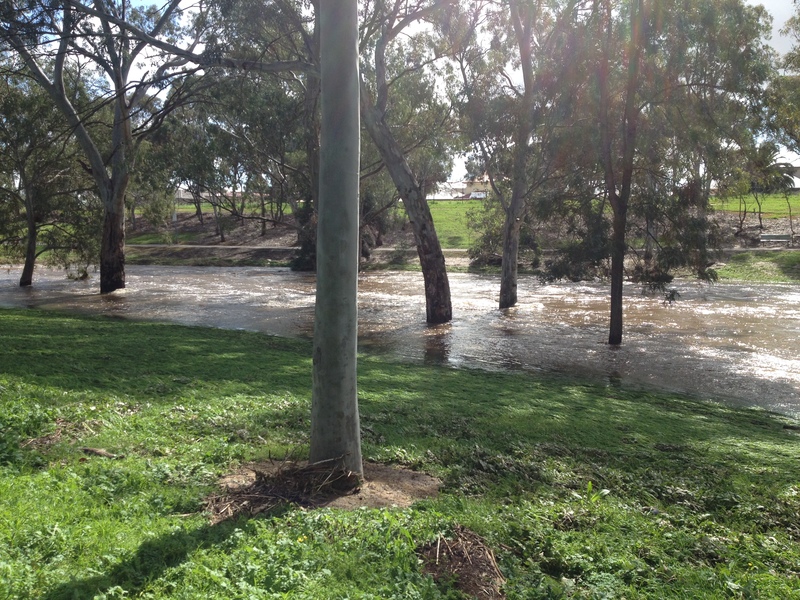 Catchment channel leading to the Torrens at Drage Reserve, Felixstow. 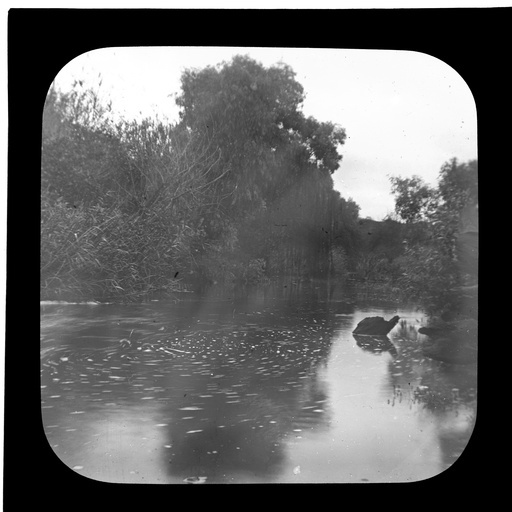 I couldn’t help myself but check Trove to see what was reported about other times the River Torrens had flooded in my area. 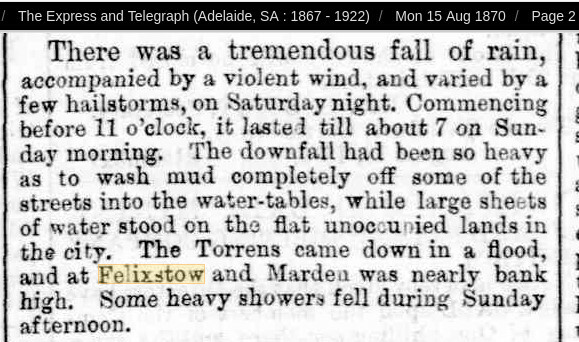 Saturday 13th August 1870 the River Torrens flooded, this report stating that the water at Felixstow and Marden was nearly bank high. It is hard to tell how much water that is as the river is very different today from how it was then. 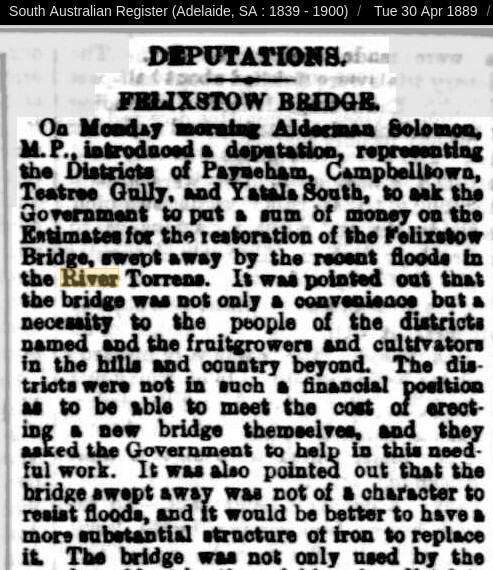 This picture below shows how differently the river looked at Felixstow in 1910. 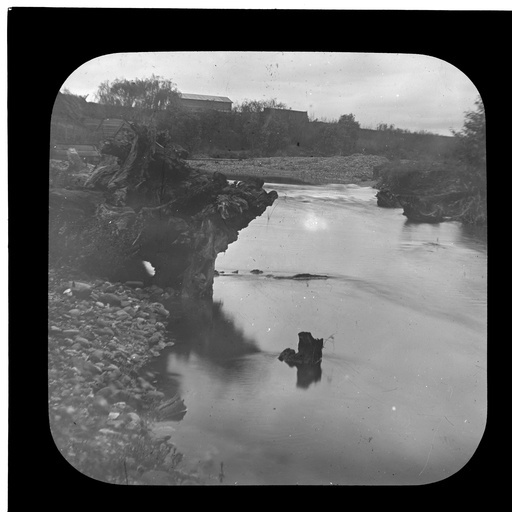 This photo shows the river as much wider than it is today. Here is a transcript of the above newspaper clipping from the South Australian Register 30 August 1889. 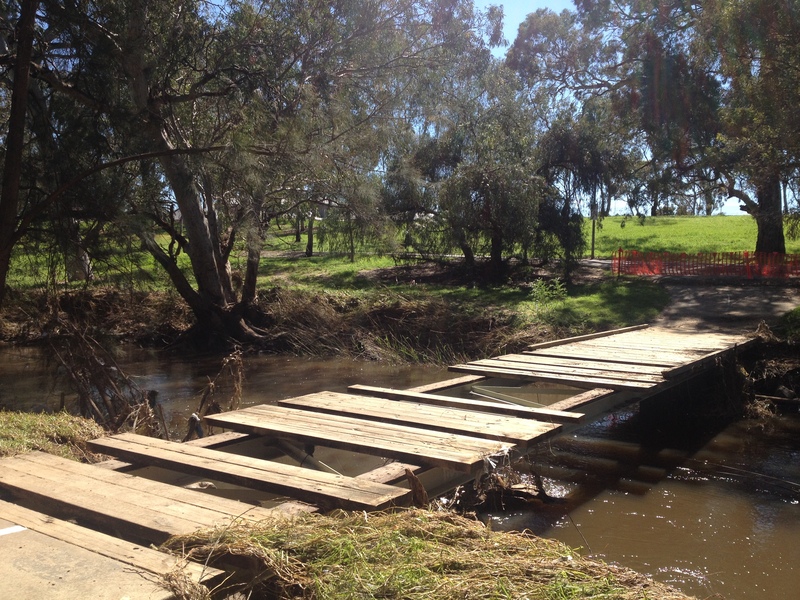 I’m glad that our road bridges are much sturdier than they were in days of old. Here is the footbridge where I take my grandchildren to feed the ducks. I think we’ll be waiting a fair while for it to be fixed. Thanks for stopping by, I had a look at your blog too. I like your family history month posts. Good story and some great pictures. Loved the historic flood stories, too!